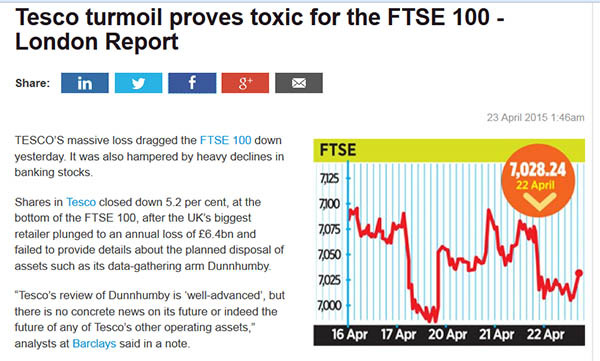 Tescos, rip-offs and market crash? Together? I’ve been banging-on about supermarket practices for some years now (February 2013, to be precise), and it seems the media is catching up with me finally. The big leaguers still don’t GET IT, do they? I’m not sure anyone seriously wants a deal on Eggs or Milk for christsakes (TV adverts this week), if only they gave it a little thought. 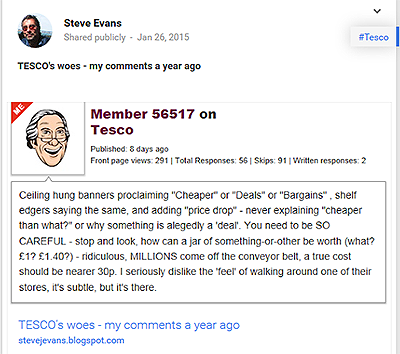 And because they don’t get it, I don’t give a jot about Tesco’s 6.4 BILLION LOSS – though the numbers are incredible aren’t they? Especially since it seems to have been such an astoundingly speedy decline, from what seemed an unassailable dominance until now. Just HOW do you lose that amount of money so quickly? Foodstuffs need to be the cheapest they absolutely can be, having paid growers, suppliers, transport, and staffing. If I can’t buy a flat-screen coffee machine at the same shop I chose apples, then so be it. Maybe I’ve never given the average shopper as much credit as they deserved? 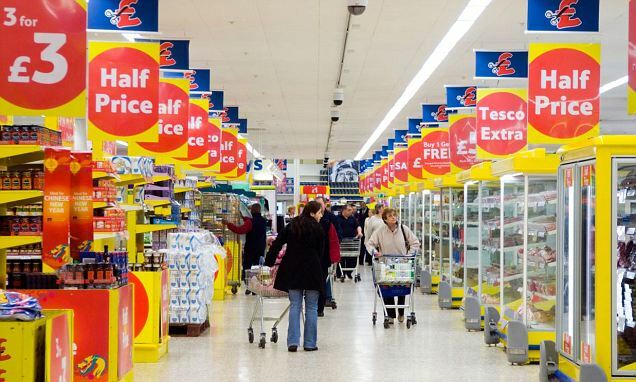 Maybe “Every little helps” paraded across our TV screens for so long, as the company charged us TWICE as MUCH for some goods as their competitors was a step too far – or, more likely, real Britain needed to look to their wallets – discovered a couple of German supermarkets, and walked.